The Chagos Archipelago is a group of over 60 islands in the Indian Ocean and home to the world’s largest coral atoll. 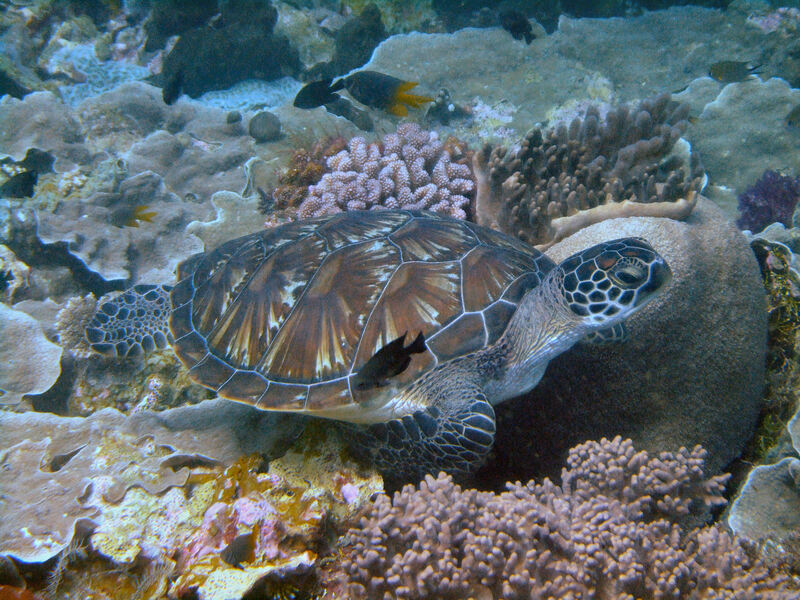 The marine reserve was officially established in 2010 and covers an area of 250,000 square miles, which far exceeds the size of the Great Barrier Reef Marine Park at 133,360 square miles. The Group of islands are currently under lease to the American Military and home to a large naval base. Due to this the only inhabitants of the islands are British and US military employees and the islands and surrounding waters are heavily monitored. This has inadvertently preserved this marine habitat from anthropogenic stressors such as overfishing, pollution and tourism, which have plagued the worlds other reefs. 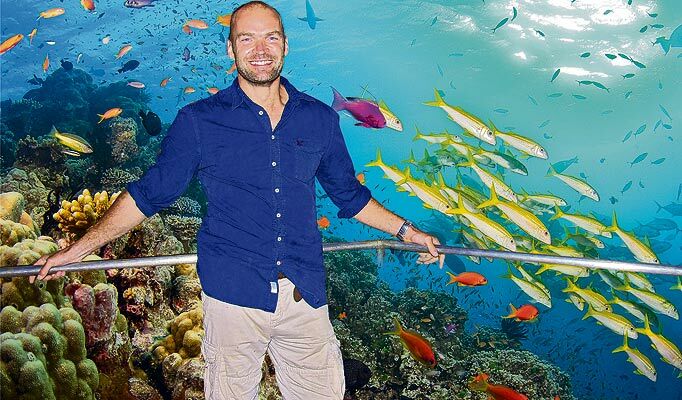 A result of which has enabled marine life here to thrive and be buffered against past symptoms of climate change such as the 1998 El Niño which devastated reefs in the neighboring Seychelles islands. This reef system is hugely important to Indian Ocean fish stocks and serves as a nursery for many commercially important species such as yellow fin tuna. Without its existence, gene flow around the Indian Ocean would be severely limited and fish populations would plummet, having severe knock on effects on fisheries from the coasts of India to East Africa. Unfortunately for most of us, who are not a part of the military, we may never get the chance to visit the likes of Diego Garcia and the rest of Chagos. However, the knowledge that its existence supports fisheries and biodiversity within the Indian Ocean should be enough for most to support its protection. But if that’s not enough then that’s not the end of Britain’s coral reefs, the North Sea is home to the largest known cold water coral reefs and within British waters are the Darwin Mounds, the most studied of these. 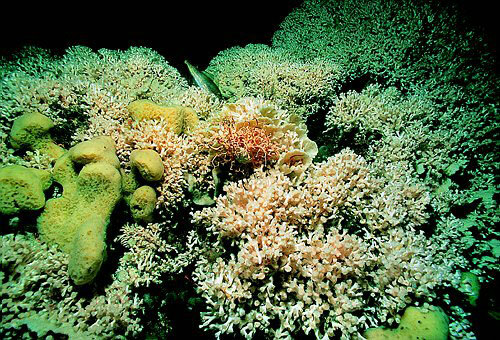 Less than 200km off the north east corner of Scotland, lay vast beds of deep water corals in the species Lophelia. Although not much is currently known about these corals, they are important recyclers of marine debris and form vital habitats for up to 1,300 species of fish and invertebrates, many of which later end up on our supermarket shelves and on our dinner plates. They are under threat from bottom trawling fishing activity for species such as; Scallops, Sole, Skate, and even Cod; and although not photosynthetic are sensitive to the effects of climate change. Ocean acidification in particular is one of the major threats reducing growth rates and pushing coral reefs in to a state of erosion rather than accretion. So if you missed the show, why not catch up online and think of coral reefs in a new light, about what we can do to protect them and how they directly impact upon our own lives here in the UK. ← A Scientists Christmas Top 10!